Many believe a pickup without a V-8 engine is not a pickup. 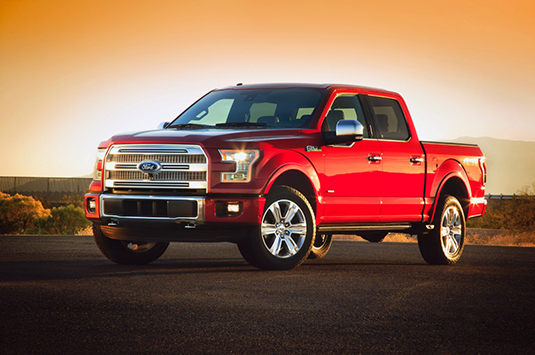 But Ford wants to change the notion of traditional power hungry pickup. This is why they introduced their new Ford’s EcoBoost. EcoBoost is merging “Eco”-friendly with turbo-“Boost” and provides combinations of torque, horsepower, fuel economy, performance, utility, durability and reliability. Now the infamous Ford F-150 comes with a 3.5-liter twin-turbo EcoBoost V-6 and traditional V-8 engines and nearly one half of Ford F-150 buyers love the V-6. The V-6 delivers 365 horsepower and can go 0 to 60 in 5.7 seconds. That is a crazy acceleration that normally comes with a sport sedan not in a pickup. Ford also has smaller 2.7-liter, 325 horsepower EcoBoost 4X2 that comes in V-6 delivering 19 miles per gallon in the City, 26 mpg on highway and combined 22 mpg. The 3.5-liter twin turbo EcoBoost 4X2 delivers respective 17/24/20 city/highway/combined miles per gallon. As expected, the 4X4 delivers a tad less than the 4X2. The duo comes with a maximum towing capacity of 12,200 pounds and 3,300 pounds in the bed. That is an unbelievable capacity for a 4X2 truck. All this is possible with an impressive starting price around $27.000.